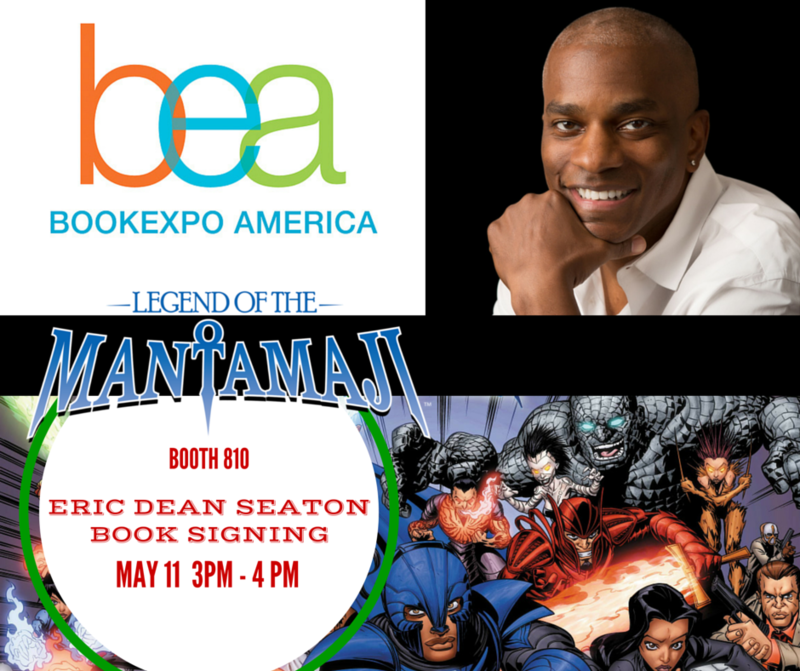 Eric Dean Seaton, television director and author of the Legend of the Mantamaji graphic novel series is on hand meeting Book Expo America attendees all this week with special book signing sessions at Booth 810 on Wednesday, May 11th from 3 p.m. – 4 p.m. and Friday, May 13th from 2 p.m. – 3 p.m. 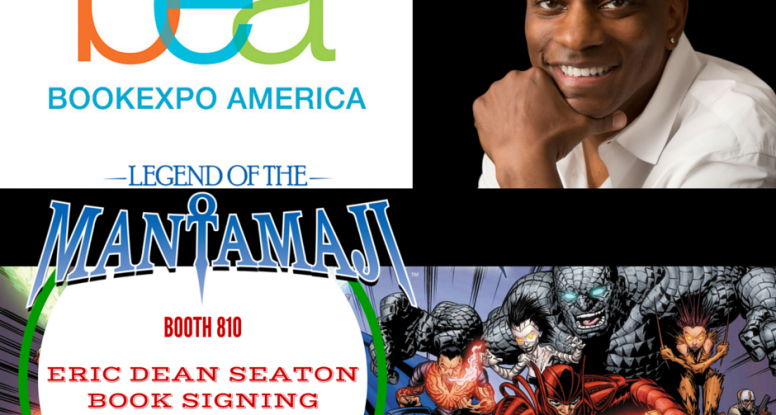 The graphic novel series continues to sell out at convention appearances as part of at 25 city international book tour. The series has been named a ‘Top Graphic Novel’ by Examiner.com and Atlanta Black Star, added to MTV’s Beach Reads for Social Justice Warriors list, earned brisk sales (including hitting top spots on Amazon.com) and has spawned an award-winning live action short of the same name.